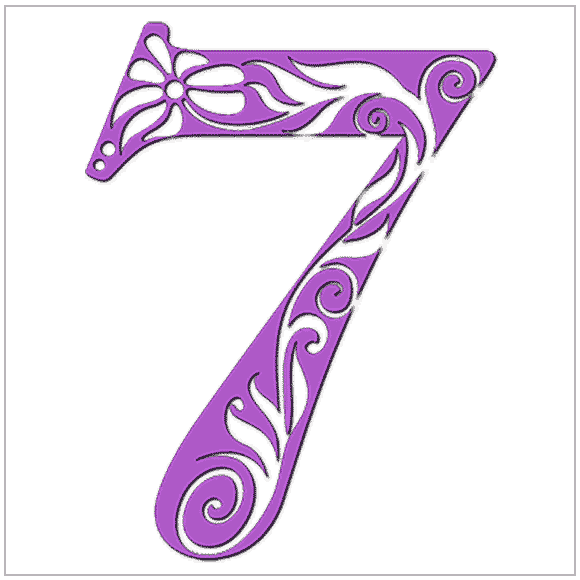 Your 7 Heart's Desire (also called Soul Urge) - You love knowledge, study, and insight. You value the gifts of your mind, which you use to great advantage to penetrate the mysteries of life. You study things in-depth. You search beneath the surface of things. You abhor shallow judgments or opinions. You have a natural gift for analysis and research. Once you have grasped the facts of a subject, your creativity and abstract approach lifts your thinking beyond the rudimentary to the philosophical. You have a theoretical mind, but rather than indulge in fantasies or idle thought, you prefer to base your theories upon scientific facts. You enjoy mental and physical puzzles - figuring them out, taking them apart, and putting them back together. Some people may perceive you as cool or aloof. You are somewhat introverted; you may feel slightly removed and even a little different. The fantasy of the hermit or monk engaged in a life of study and meditation appeals to you. In relationships, you tend to keep things business-like and impersonal. You prefer to talk about the facts of a given situation, rather than the cloudier issues of emotions and personal feelings. You distrust feelings - both your own and those of others. The whole emotional realm strikes you as unreliable, and a bit unnecessary. Your inability to fully understand the emotional aspect of life is your Achilles heel. You are so rational that the unpredictability of the heart frightens and surprises you. Your challenge is to trust. You need to share your heart with someone. This is a courageous step for you, but will result in enormous growth and satisfaction. The advice here is to make a true connection with another human being. Without it, you may marry out of convenience or to fulfill social expectations, but it will not lead you out of loneliness. The more removed you are from people, the more you risk isolation, bitterness, and a cynical attitude toward life. This choice represents a true crossroads in your development. By sharing yourself with others (without compromising your independence and need for privacy) you can cultivate your enormous charm and share your understanding of life. You are a natural teacher and advisor. And the wealth of knowledge you will accumulate in life is meant to be shared with others. This is not to say that you must compromise on your need for privacy or time spent alone to contemplate life. These are natural aspects of your personality, which are essential to your growth. These characteristics should not be threatening to your spouse, but must be understood as fundamental to your being. You are blessed with a great reserve of intuition, which can be cultivated by regular meditation and contemplation. Your "inner voice" is your greatest guide and friend. You are idealistic and have high expectations for yourself. Learn to balance your serious nature with regular doses of fun. Your intelligence and cultivation make you charming and distinguished in appearance. As you get older and more comfortable with your identity, people are naturally attracted to you. They see your wisdom, your deep understanding of life, and the refinement you radiate. It has been some time since I last visited your site and I was amazed at what you offer. I have gone in the wrong direction for the past two years and lost a great deal of money in business ventures, I regret I didn't fully investigate your site before. Numerology has been my love and I should have pursued it.